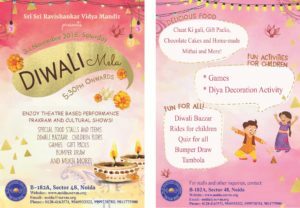 As the progress of the year brings us once again to the festival of Diwali, S.S.R.V.M. Noida cordially invites you with your family and friends to be a part of our annual extravaganza ,’Diwali Mela 2018′. We look forward for your gracious presence.